* S.H.I.E.L.D. Data Vault (in HD, BD-exclusive)� Extend your knowledge of the Marvel Cinematic Universe with high-level clearance into S.H.I.E.L.D. 's digital data vault. Interact with select scenes from the movie that include new layers of graphics and insider information. View case files, dossiers, S.H.I.E.L.D. training films, tech details and more. o Rebuilding the Suit�An all-encompassing look at the beginning stages of this mammoth blockbuster. o A Return to Action�From Marvel Studios to the streets of Monaco, Jon Favreau takes viewers through the trials and triumphs of continuing Iron Man's story. o Expanding the Universe�From the amazing sets of Stark Expo to Tony Stark's home and beyond, the Marvel Universe continues to unfold into new and exciting places. o Building a Legacy�From filming to editing, scoring and visual effects, Favreau and his team face the challenges of bringing the sequel to the big screen. o Creating Stark Expo�A look at how the sets and computer-generated elements combine to create the massive set piece. o Practical Meets Digital�How the "practical" props inform the "digital" work that ultimately brings our hero to life on screen. 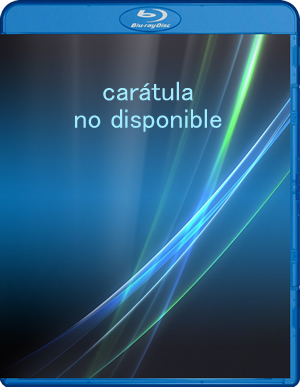 [url=http://www.index-dvd.com/blu-ray-iron-man-2--copia-digital-18820.html][b][size=4]Iron Man 2 + Copia digital[/size][/b][/url] Lanzamiento en Blu-Ray: [b][color=green]Martes 28 de septiembre de 2010[/color][/b] Sometido a presiones por parte del gobierno, la prensa y la opini�n p�blica para que comparta su tecnolog�a con el ej�rcito, Tony Stark (Robert Downey Jr.) es reacio a desvelar los secretos de la armadura de Iron Man porque teme que esa informaci�n pueda caer en manos indeseables. Con Pepper Potts (Gwyneth Paltrow) y James �Rhodey� Rhodes (Don Cheadle) a su lado, Tony forja alianzas nuevas y se enfrenta a nuevas y poderosas fuerzas.